For those of us in the audience, it was a deeply moving moment – particularly when the briefing started out with Bole So Nihaal, Sat Sri Akal. Yes, a jakara in the White House! There was something symbolic in that moment. Once, a long time ago, Sikhs would have made the jakara call while raising their flag at the Red Fort in Delhi, the symbolic capital of India, as Jassa Singh Ahluwalia was proclaimed Sultan-e-Quam (‘king of the nation’) – a gesture in which Sikhs laid claim to their sovereignty as a people in 19th century India. Now, under certainly different circumstances in a land separated by time and distance, Sikhs were making a similar call to claim to their legitimacy as Americans. The excerpt above is from a post I co-wrote with blogger Sundari over at the blog The Langar Hall in which we reflect on the significance of this event. 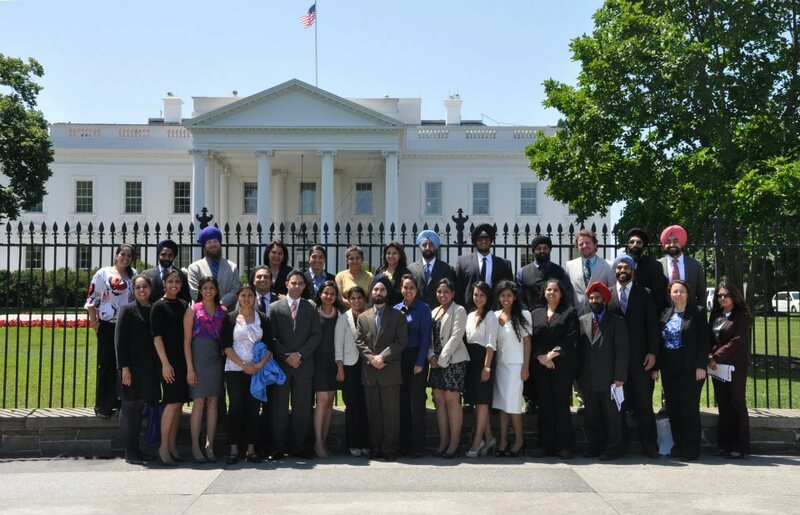 You can also read more about the White House visit and see photos via the Sikh Coalition.